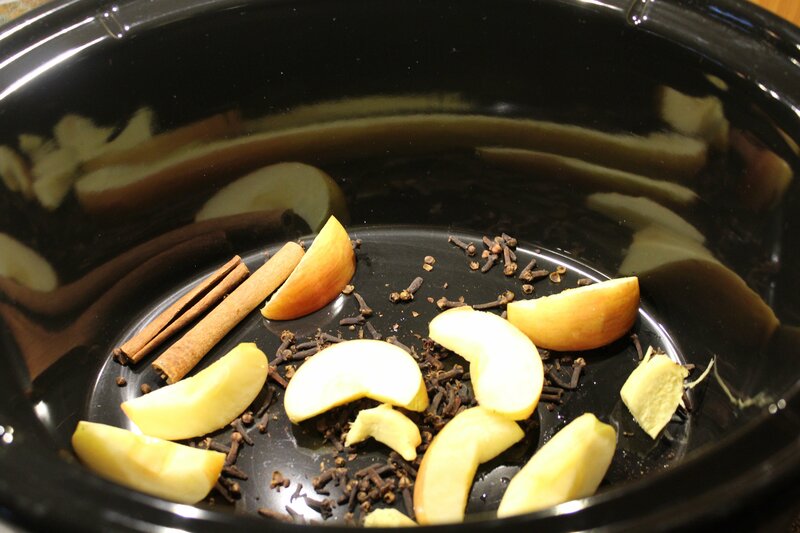 What is cinnamon spiced crockpot tea you say? Well, picture yourself cozied up by a crackling fire. Avoiding the outside cold, and enjoying a warm mug of something. A cup of amazing, really, in fact, your whole house smells amazing too. That is because this delicious (not so much actual tea) has been warming in your crockpot for long enough that your whole house smells of fantastic cinnamon spiced goodness. 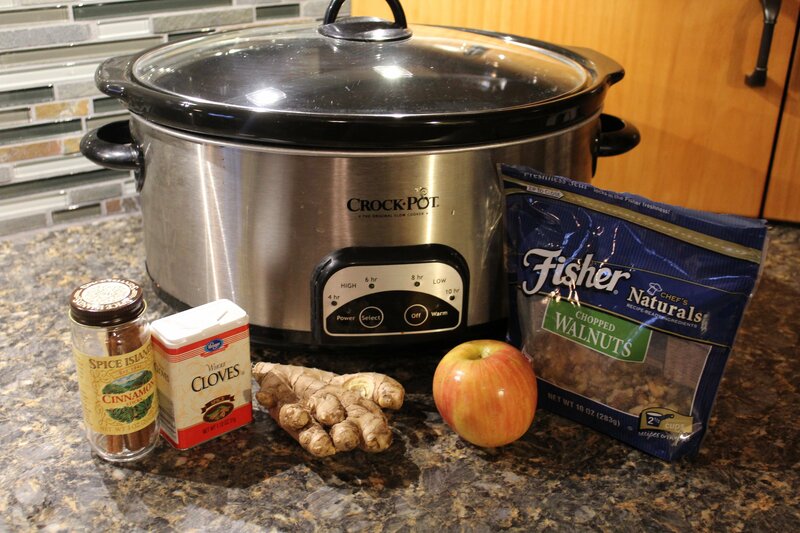 This is crockpot tea recipe is one that can carry you all the way through fall and still make you the holiday get together hero. The best part is it’s as healthy as it is deliciously warming. Ok, now I must be perfectly honest. It’s not really tea at all, it’s really made of only spices and water, no tea leaves or bags (yay there am I right!) 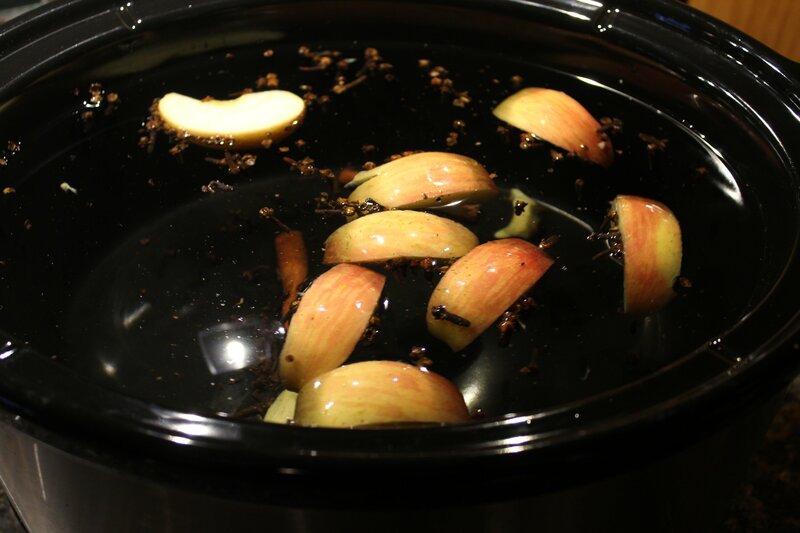 This crockpot tea is super easy, I pinky promise. This is the perfect drink for holidays, get together’s or to just keep warm in the crock pot during cold and flu season to warm you to the bones. All you gotta do is dump ingredients in a crockpot and let ‘er go! What I love is that those ingredients are amazing health packed, germ-fighting, naturally flavored, herbs and spices. Credits for this amazing recipe go to a good friend when I heard the ingredients my health-nut little ears perked right up, and rightly so, this is an amazingly healthy winter drink! Ginger- one amazing root. Packed with enzymes that reduce inflammation, help repair joints and tissue. Ginger is amazingly helpful with stomach issues and nausea. Ginger is also a warming herb/ spice that is known to increase circulation and especially to the pelvic regions helping with reproductive issues in both men and women. Cinnamon- Also a warming herb/ spice that improves circulation. Cinnamon also is very respected for stabilizing blood sugar levels and aiding a sluggish digestive system. Clove- A power-packed herb/ spice, this one is the motherload. Yes, it has a wonderful aroma that we love in the winter time. However, it is also is an all-purpose remedy. Clove is an Anti for all things bad, Anti-viral, Anti-microbial, anti-bacterial. Most all sicknesses can be warded off with clove, which makes it amazing in the winter. Clove is stimulating to the mind making for improved memory and is known in some parts of the world as an aphrodisiac. This easy to make, not to mention super healthy, cinnamon spiced crock pot (no so much tea) just may be your new favorite holiday get-together drink! One drink you will be hooked and so will your guests. 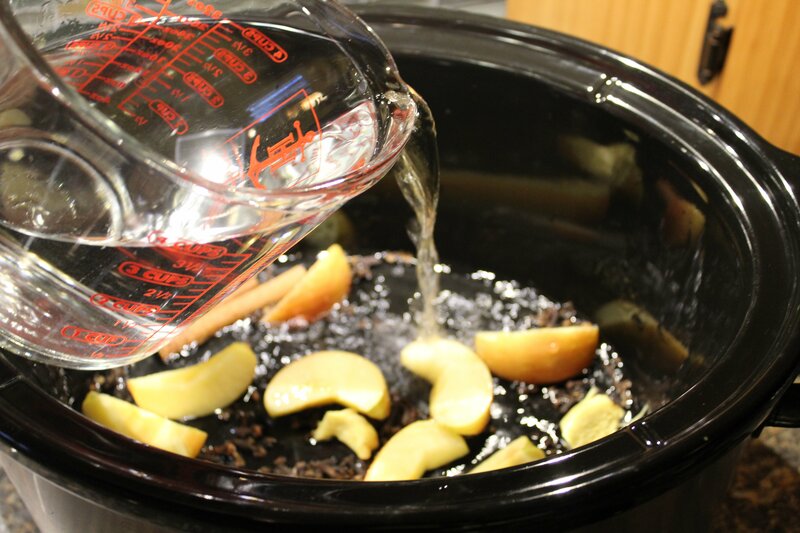 garnish mugs with apple pieces or walnuts sweeten with honey or maple syrup. Enjoy! This recipe is good for a week or even more at a time. You can fill the crockpot with more water as needed. The first batch is usually very strong and gets slightly weaker as you go. Leave this warming in the crockpot and your house will smell amazing, all while you have a deliciously healthy drink anytime you want! P.S. Looking for more ways to add to your healthy lifestyle? 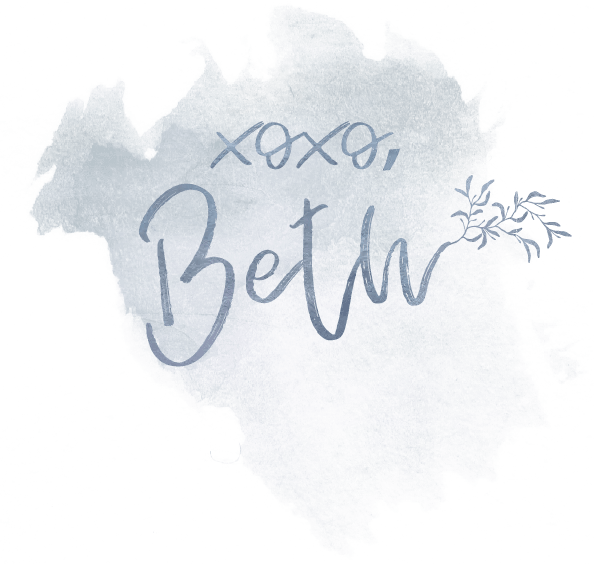 Subscribe to The Upcycled Family community for weekly posts, recipes, DIY’s and more!